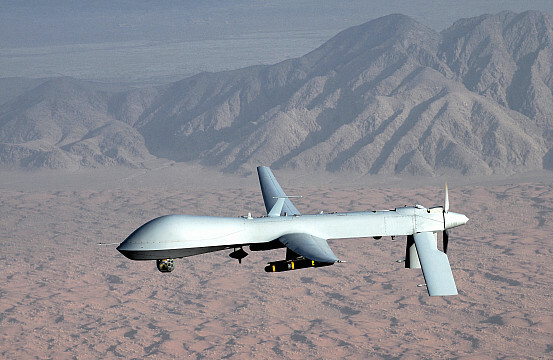 Report reaching the Nigerian central security base this evening that its ground intelligence has revealed that the Islamic sect group Boko Haram recently acquired a deadly unmanned aerial vehicle (uav) bomber drone and in a message to the military warning of fresh attack, they vowed to wipe out the entire Nigerian Army boasting of the new drone weapons they have acquired with the help of ISIS. Boko Haram has told the military of Nigeria that they are not playing they are meant to wipe out the entire military, the question is who brokered the deal for the terrorists to acquire such types of equipment concerns are being raised that the Nigerian government is secretly behind this development. Nigerians must watch out and demand heavily for a total restructuring of the country or a total disintegration if not, entire Nigeria will be wiped out in no distant time and those who are left alive will be forcefully converted to Islam.